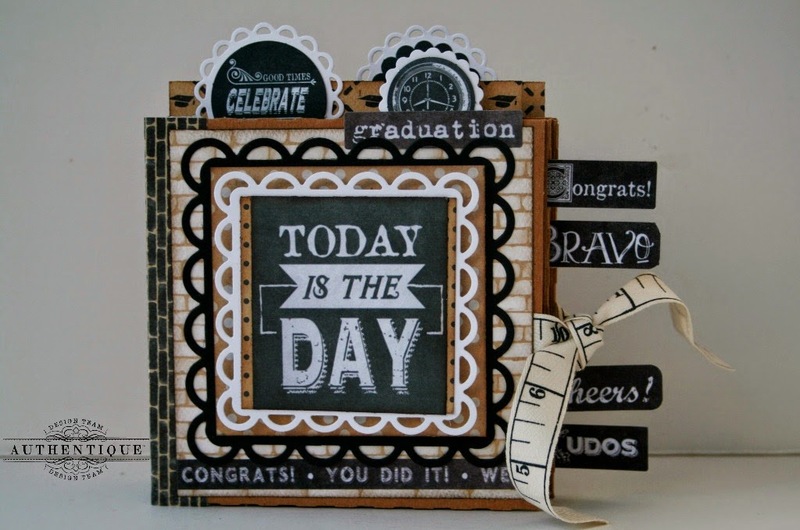 If you are hopping along with us today: You should have come here from The Tombow USA blog. If you did, you are in the right place! Welcome! 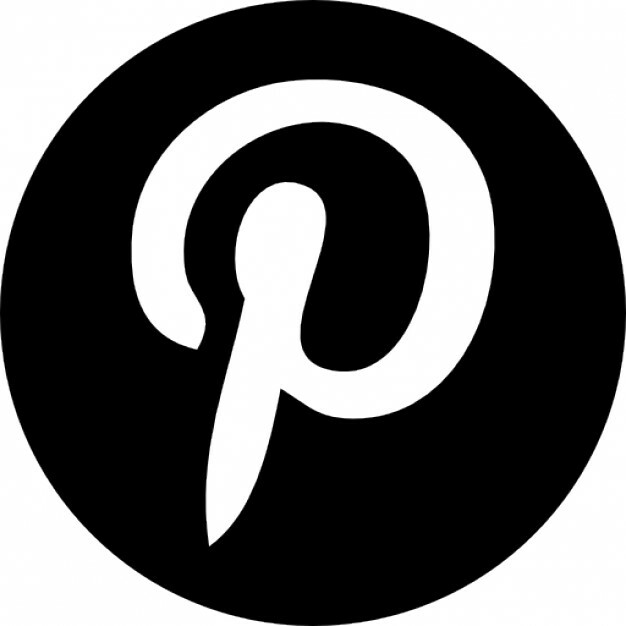 If you aren't already a follower, we'd love to have you follow the blog! If you are one of our regular readers: Thanks for coming back! We love having you! 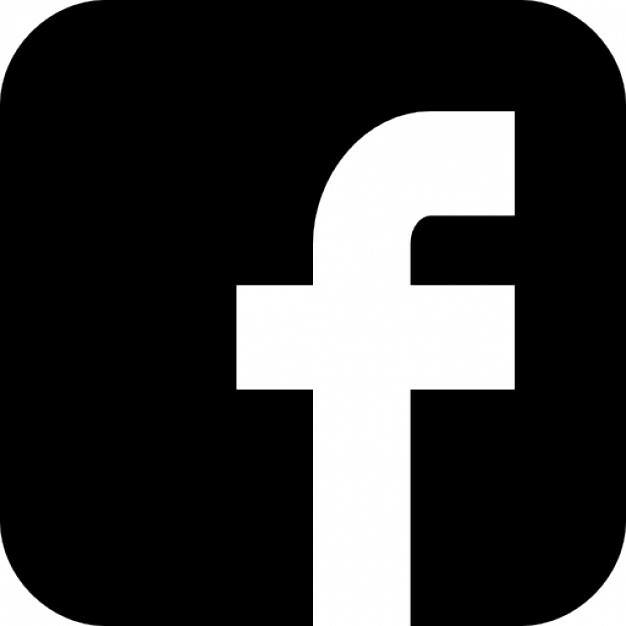 Please join along in the hop - you can start at the Clearsnap blog. Calling all crafters! We’ve gathered designers from some of our favorite manufacturers to show you ways to create something from the heart this holiday season. This 3 day Hop includes over 60 stops with inspiration brimming from every corner. 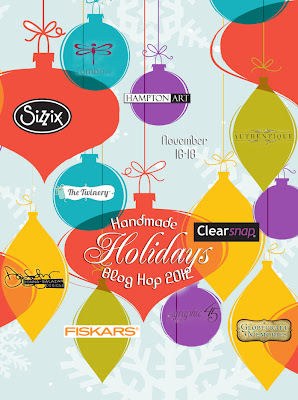 Explore all thoughtful and frugal handmade gifts you could make for the holidays, all in one place on this Hop! Each day we will be sharing a brand new list of blogs with brand new projects for you to explore, be inspired by, and create from! To sweeten to Hop, we’re offering a gift for one of you! Leave a comment on each blog along the hop to be be entered to win a prize pack from one of the participating manufacturer sponsors (including this great prize pack shown above)! The winners will be chosen randomly from all comments on the manufacturer blogs AND the designer blogs. Before we let you go to move on to the next blog... we have an amazing project to share from design team member JJ Sobey! 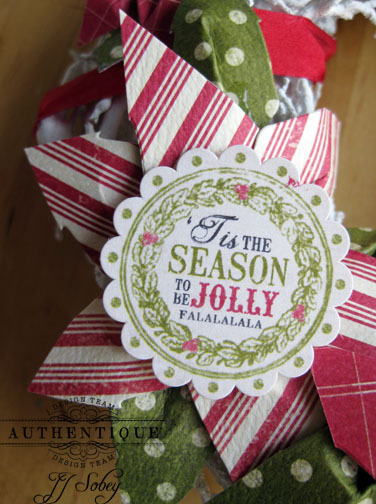 She used paper & stickers from our "Festive" collection to make this beautiful wreath. This would make a perfect holiday decor piece or a great gift for anyone this holiday season! Now hop right along, your next stop is The Twinery! 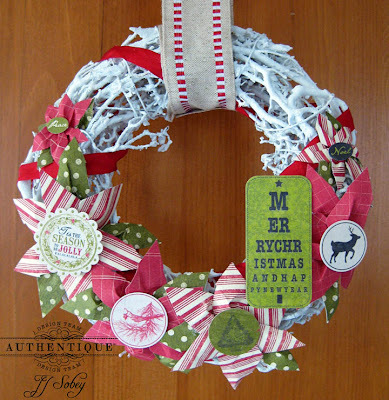 This is a really cute wreath, and I love the paper collection, especially the "eyechart" tag! Fun! This is a beautiful wreath! Love the wreath!! The papers are fabulously classic!! Love it!! They are beautiul ideas. I always love your paper, and this project is GREAT!! 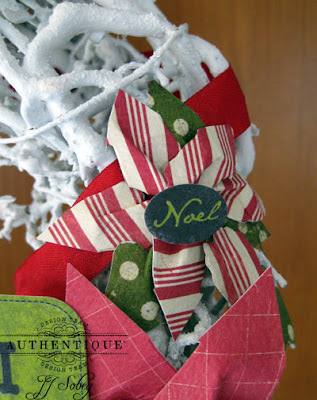 Love the wreath and the paper used! 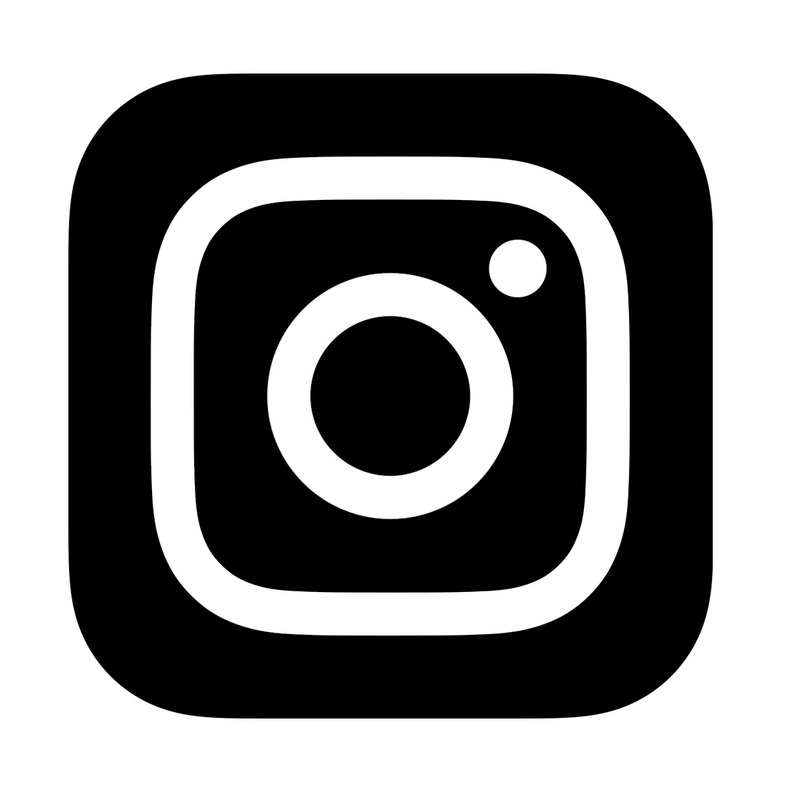 authentique you truly are a leader in our industry, thanks for sharing the love and being part of the hop that inspires and allows for a journey of discovery of creative talent along the way. 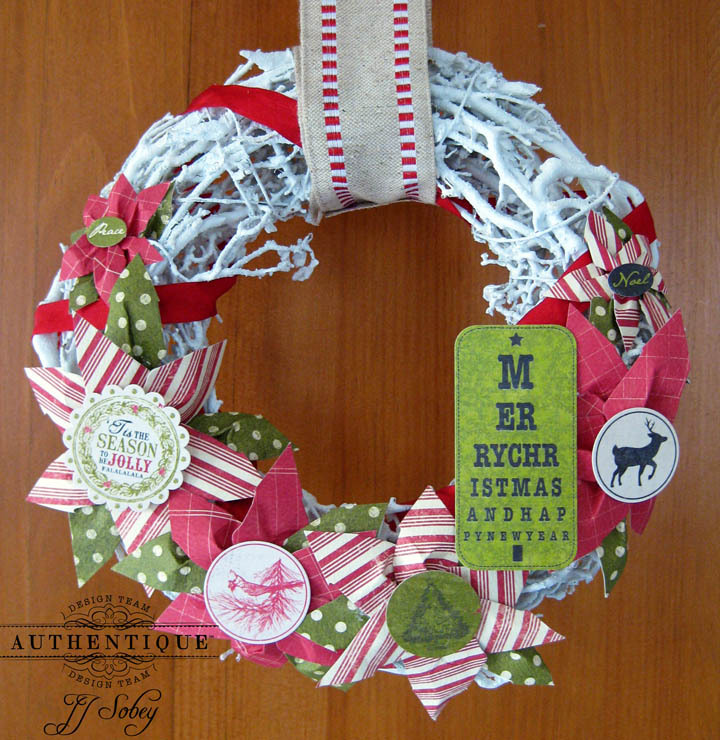 The wreath is fabulous and Authentique is one of my favorites! I love this wreath...it is fabulous. I am making my Christmas cards out of this paper...I hope they look half as good as this wreath. I like the texture on the twigs, what are they covered in? The eye chart is a cute idea. 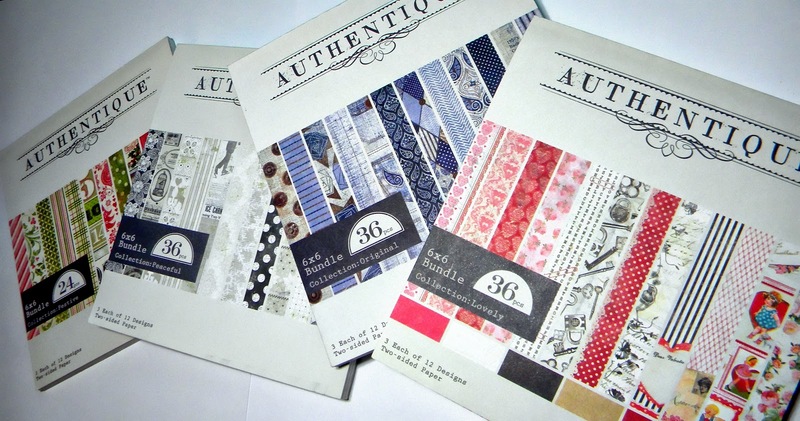 Your papers are so pretty, they make it fun to scrapbook:) Thanks for showing me another fabulous project! I never thought to make a wreath out of paper. I have always used silk flowers, but this paper line is so gorgeous, I may have to change my habit! Amazingly wreath JJ!! love it! Wow, I am loving that wreath. I think it is about time that I updated mine. Thanks for sharing! So so pretty! I could do this! This is probably my favorite project so far! The wreath is so fun and festive! I've never seen a white twig wreath before! Did you paint it or did it come like that? I like how decorated it! WOW!!! I love the wreath!!! Thank you for sharing!! I'm a little embarrassed to admit that I was unaware of the "Authentique" line until this blog hop - but know I know and are your papers ever YUMMY! I love this wreath! Cute wreath! Very colorful! I've worked with that Festive line and love it! Thanks for hopping! Great ideas! Very colorful pretty wreath. thanks for sharing. I absolutely love it!!! AWESOME! This is very cute....I love it...than pin wheel look is neat. What a beautiful wreath! I love all of the details! Very cute! I love wreathes!! Thanks so much for participating in this blog hop. It is wonderful to see the clever crafts. Love the white wreath with the Festive embellishments. Well done JJ! This is one of my favourite paper collections, and I LOVE seeing more ideas to use it. Very bright and easy to see hanging up in my house. Thank you for sharing. Gorgeous wreath! I love that paper collection. What a beautiful wreath! Thanks for the inspiration! wonderful textures witht he wreath and papers, very well done. love the simple patterns and the ribbon hanger. thank you. Beautiful wreath! Thanks for the chance. Great wreath and inspirational! I'm already designing something similar for our house! love the colors you used for the wreath. Very fun and nontraditional wreath. TFS! Love this wreath ! Reminds me of white chocolate LOL . There is nothing like Authentique paper. I love the wreath. I've loved your papers from day one! Gorgeous wreath!Have to tell you that after the first day of the hop-I think "Peaceful" may be the most beautiful paper I have ever seen.I couldn't grasp that from looking at the papers-but seeing it in use-I am hooked.I understand the name now. What a wonderful wreath... the papers make it so easy to make something really special! Wowza! Loving this wreath! Wreaths are one of my favorite holiday projects, and I'm always looking for new ideas. Thanks for sharing this fabulous one! oh! oh! HO! HO! how much fun! thank you! All the details. . .way cute! love the colors and awesome details!!!! very pretty wreath - tfs! What a beautiful wreath JJ made! I love those paper poinsettias - definitely going to try those! I am so glad you all are doing this hop again this year - I get so much inspiration my head is just spinning! But I don't mind :) Also I get a chance to win some of your amazing paper that I dearly love! Beautiful wreath! Love the poinsettias! Very cool project! Have a Happy Thanksgiving! This is such a pretty wreath. I love that it's white, makes me feel like it's snowy. Wonderful wreath. I usually grab for ribbon when I make wreaths but I think I will be reaching for paper now. Wow who knew green polka dot paper would be so lovely on a Christmas flower! Love this project and the little sentiment tags could be used as ornaments too! Beautiful! Beautiful wreath. Love the patterned paper on the white.